This entry is part 3 of 8 in the series The Magento API. Earlier posts include Scrubbing Bubbles for Magento's SOAP, and The Magento API. Later posts include Magento API SOAP Adapaters and Handlers, The Magento API: Interlude and Mercury API, Debugging Magento API Method Calls, Magento's SOAP V2 Adapater, and Magento's WS-I Compliant API. Now that we have a general picture of the Magento API architecture, we’re going to take a look at that architecture’s ideal implementation in the XML-RPC adapter. The specifics of this article refer to the 1.6.x branch of Magento community edition, but the patterns and concepts should apply to all versions. giving us a front name of api, a controller name of xmlrpc, and an a controller action name of index. The _getServer method isn’t defined on the XML-RPC controller. Instead, all the Mage_Api controllers share a base controller named Mage_Api_Controller_Action. If we take a look at that controller, we’ll see the definition of the _getServer method. We can see it’s a simple call to Magento’s getSingleton method. In a stock system this will return a Mage_Api_Model_Server object, and future calls to Mage::getSingleton('api/server') during this request will return the same object instance (as per standard Magento getSingleton behavior). So that’s our Magento api server object instantiated. Before we move on to the initialization and running of this server, the other method defined in this base controller is worth examining. folder hierarchy. This may seem counterintuitive, as the API doesn’t render its output with the layout object, but we’ll see how this comes into play later on in this series. Next, the Magento application’s current store object is set to “admin”. This is another example of how the early decision to always assume a “store” object would exist for Magento continues to have repercussions down the line. By setting this to admin, it ensures any Magento API method that deals with store specific data will need to explicitly deal with that data, rather then rely on some undefined store state behavior. Finally, a flag is set on the controller object which tells it not to start a standard Magento PHP session. This means no implementation of an API method can rely on storing information in Magento’s PHP session variables. This is all important information to keep in mind if you’ll be extending the Magento API with your own methods. The state a Magento store exists in during an API request is unique compared to other parts of the system, and will need to be accounted for in your code. Jumping back up to the controller action, we still have server initialization and running to cover. Both the _getServer and init methods return an instance of the api/server object, so this is classic method chaining. We’re going to cheat a bit, and look at the run method first. Upon having its run method called, the API server object calls the run method on the adapter object, making the adapter object ultimately responsible for fulfilling the API request. we see this is a simple PHP class with no ancestor. Since it doesn’t extends Varien_Object, we know there’s no _construct method that could be called. If we examine the rest of the class definition, we know there’s no PHP constructor that could be called. Therefore, the only place left _adapter could be instantiated and set would the the init method. On initialization the API server object will, based on the passed in parameters, examine the Magento configuration to determine which API adapter object and API handler object should be instantiated. A handler object is subservient to an adapter object. The first parameter we’re passing into init is the controller object itself. This may seems weird, but remember the API server (and it’s subservient adapter) is responsible for sending any output to Magento’s response object. Later on we’ll see the adapter using the controller object. This means the $controller object must inherit from the Mage_Api_Controller_Action class. This helps ensure the api server is only used from API controllers, and is a common pattern in systems where PHP’s Java like features are being used. are string representations of the adapter object and handler object. These strings will be used to lookup class names from the Magento configuration. In our case, the adapter is the string xmlrpc, and the handler is absent, which will made it default to the string default. The code above will merge these files into a single XML tree, and that tree becomes the api configuration. If you’re unfamiliar with how Magento merges configuration files, reading through The Magento Config, revisited should set you straight. There’s some additional logic in this method to filter out adapters whose extensions aren’t loaded into the system (getActiveAdapters vs. getAdapters). We’ll leave that as an exercise for the reader. One last thing to note before we move on. At this point the $adapters variable is populated with a PHP array which contains configuration nodes, while the $handlers variable is a SimpleXML list of configuration elements. Ideally, both these variables would be of the same collection list type to make for cleaner code, but we all know what they say about the ideal world. This conditional is checking the populated array of adapters for the adapter we want to initialize the server with. If the adapter doesn’t exist, an exception will be throw as it’s impossible to continue. If it does exist, Magento will use that same configuration information to instantiate an adapter and handler object with the code hidden by <!-- ... -->, which we’ll now cover chunk by chunk below. extracts an adapter model name from our specific adapter configuration, attempts to instantiate a model using Magento’s getModel method, and assigns that object to the internal _adapter property. Again, an exception is used to bail on the method if an adapter can’t be instantiated, or if the adapter object doesn’t implement the Mage_Api_Model_Server_Adapter_Interface interface. making our adapter object’s class Mage_Api_Core_Server_Adapter_Xmlrpc. is where we’re setting the passed in controller as a property of the adapter object. This ensures the adapter has access to the controller object, which it will need to interact with the response object. Here we’re checking if the passed in $handler exists as a child of the $handlers configuration node. Remember, this is a “raw” SimpleXML list of nodes and not a PHP array. That’s why the -> operator is being used. As a reminder, in our case that node is the default node. So, earlier when we told you the init method instantiated a handler object, we were telling you a little fib to gloss over some implementation details, which we’ll be covering as part of the adapter’s run method. All init really does is set a handler class name on the adapter object. Before we move on, there’s one last thing worth noting about the adapter/handler relationship. As you saw above, we fetched our handler class based on a value passed into the init method. However, you may have noticed that each adapter’s configuration has a <handler/> node. 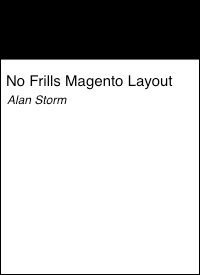 This, as far as I’m aware, is unused by the current Magento system. It’s likely at one point the handler name was read from this node rather than passed into init, but that this approach was abandoned without cleaning up the configuration. Possibly though oversight, more likely through a backwards compatibility concern. Not a vital piece of information, but worth being aware of and keeping an eye on. we have a much better idea what’s going on. Our adapter is an api/server_adapter_xmlrpc model. Once the server has called the adapter’s run method, its implicit contract is completed. Our next step is to look at the adapter’s run method, as its the class that does the work of connecting the handler object with the api libraries. The class alias api/server_adapter_xmlrpc resolves to the class Mage_Api_Model_Server_Adapter_Xmlrpc in a stock system. Before we look at the run method, we should take a quick detour to CS-101, and consider the class’s definition. As we can see above, all Magento API adapter objects must implement the PHP interface Mage_Api_Model_Server_Adapter_Interface. An interface forces the concrete class, (Mage_Api_Model_Server_Adapter_Xmlrpc), to implement a certain set of methods. More importantly, an interface helps a developer writing a new adapter know which methods their adapter will need, and hints at it’s base implementation. All the adapters we explore in this series will implement this interface. In a perfect world, this wouldn’t be necessary. We’d all use UTF-8 and be happy about it. Unfortunately, character encoding is one of those programming issues that requires everyone to line up and do the same thing, and sometimes it’s faster to change you character set than to get someone else to change theirs. the handle method is responsible for reading the XML-RPC request, determining the method to call, determining if the handler object has that method, calling that method, and then returning a string the XML-RPC client will be able to interpret as a result. This is all handled by the Zend Framework API class. we can see why we needed to keep a reference to the controller object around. Magento API adapters will use the saved controller to fetch a response object, and manually set its body. This ensures normal Magento system processing continues, allowing browser output to occur at the normal time. A more naive implementation might just echo the output of the handle method and exit. While this would work, any post controller-action event that needs to fire would be skipped, include the HTTP output events. By using the response object, the API adapters work within the contraints of the Magento system, allowing third party developers to hook into all system output, including that generated outside the layout system. At this point our API request is handled. One side effect to note here is, it’s possible that an exception thrown after this point could stop a proper API library response, but that any changes in the system will still be made. Keep that in mind if you’re debugging API exceptions/errors. simply returns a reference to $this, which ensures method chaining will work with the run method. While it's a little abstract for some people's taste, you can see how this API handling code is, in actuality, rather simple, elegant, and ensures that the Magento core team will be able to roll out new API adapters as times and taste change in a way where all API adapters will have feature parity. Rumor has it the final version of Community Edition 1.7 will include a RESTful API. Unfortunately, while abstract code can enable elegant systems, it can't always ensure an elegant implementation. Next time we'll be exploring the implementation of Magento SOAP adapter, including many of the rough edges where the core team's understanding of an API clashed with the situation on the ground. We've seen the ideal implementation, next time we'll how the system handles something as complicated as the wonderful world of SOAP.